Explanation: Eta Carinae may be about to explode. But no one knows when - it may be next year, it may be one million years from now. Eta Carinae's mass - about 100 times greater than our Sun - makes it an excellent candidate for a full blown supernova. 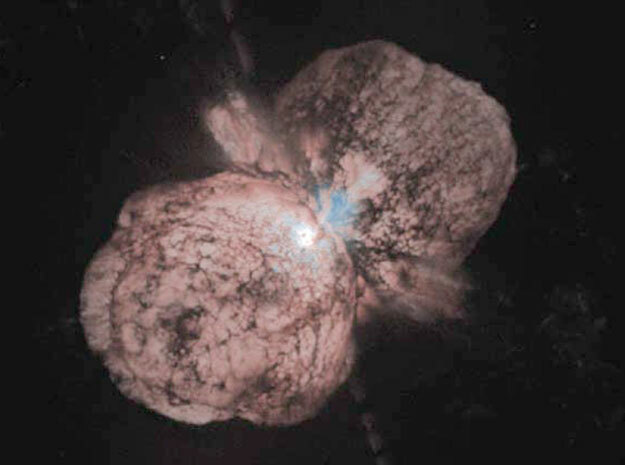 Historical records do show that about 150 years ago Eta Carinae underwent an unusual outburst that made it one of the brightest stars in the southern sky. 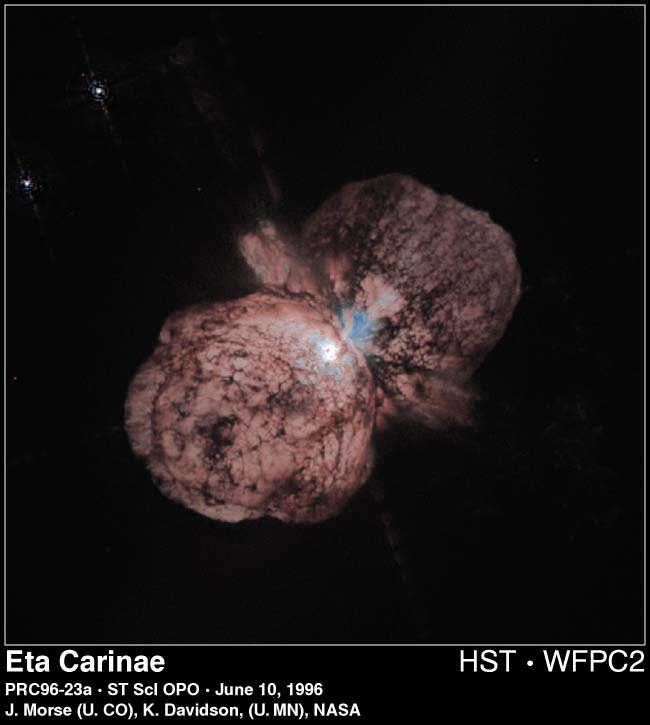 Eta Carinae, in the Keyhole Nebula, is the only star currently thought to emit natural LASER light. This image, taken in 1996, resulted from sophisticated image-processing procedures designed to bring out new details in the unusual nebula that surrounds this rogue star. Now clearly visible are two distinct lobes, a hot central region, and strange radial streaks. The lobes are filled with lanes of gas and dust which absorb the blue and ultraviolet light emitted near the center. The streaks remain unexplained. Will these clues tell us how the nebula was formed? Will they better indicate when Eta Carinae will explode?